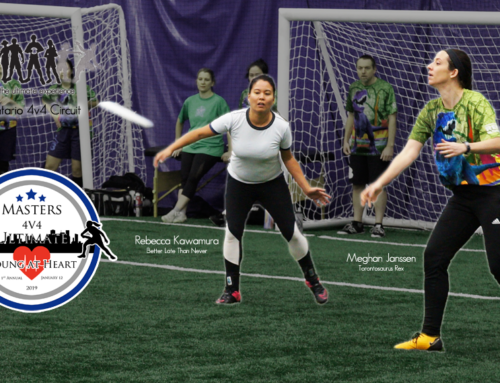 Our 2018-2019 Ontario 4v4 Circuit started 2019 with a bang this past Saturday. 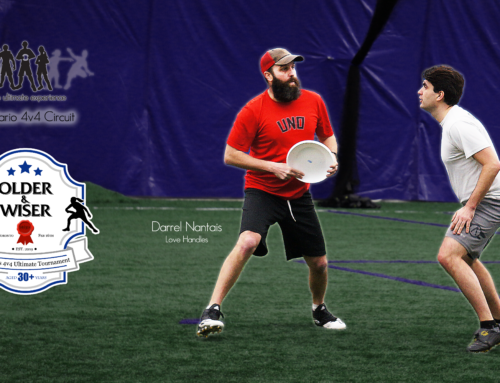 10 returning teams to the circuit were joined by 2 newcomers at the Toronto Soccerplex. Participants loved the brand new turf under their feet as they explored the recently renovated facility. 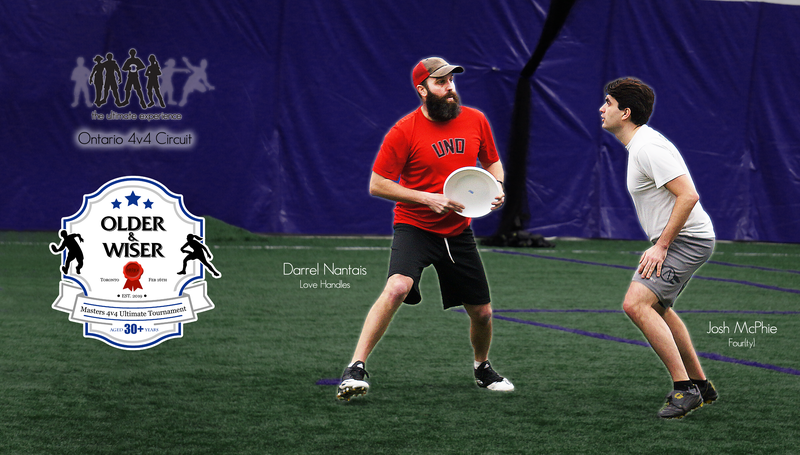 The day started with a rematch from November of two titans – Tetraphobia were back and squared off against A-Z. A-Z had taken the lead in the Ontario standings in December, though the two teams had not met face to face at that event, being split between the facilities. A score dispute at the end of this match-up would not be resolved immediately, and it was agreed between the teams that they would play out a short 5-minute extension at the end of the tournament. We’ll come back to how that played out. Ray’s Balls started the day with a valiant effort to take down The Elusive Unioncorn, but would fall short 10-14. 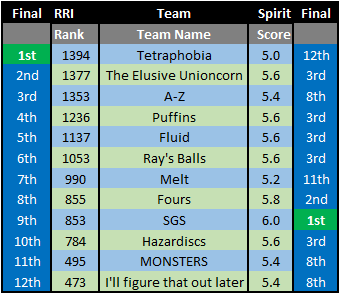 Overall though, Ray’s Balls would have a strong day, only losing one other game to Tetraphobia. 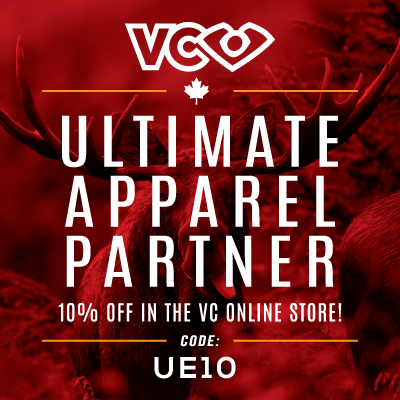 This would see them place well at the tournament’s rankings, and maintain their overall ranking in Ontario, even as teams around them dropped. 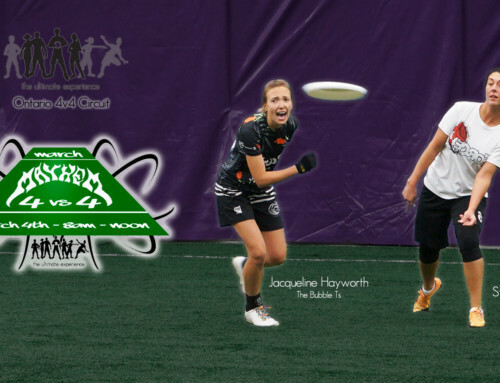 This event saw the return of one of last year’s hot teams, decked out in brand new jerseys, Puffins. 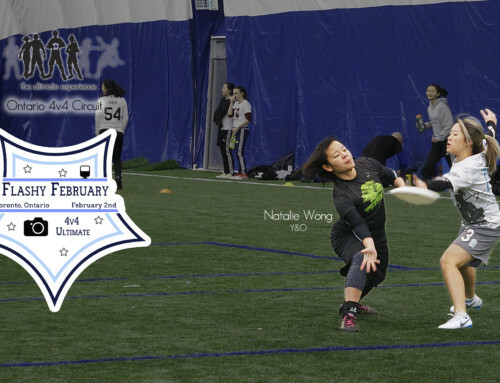 They came into the tournament and made a mark, finishing 4th overall in the tournament, and posted a strong enough showing to launch them into the Ontario 4v4 Circuit 4th overall! As the day progressed, the other new team to the Circuit this year, the aptly named Fours, would see mixed results that had them finish with a 2-win-3-loss record on the day. 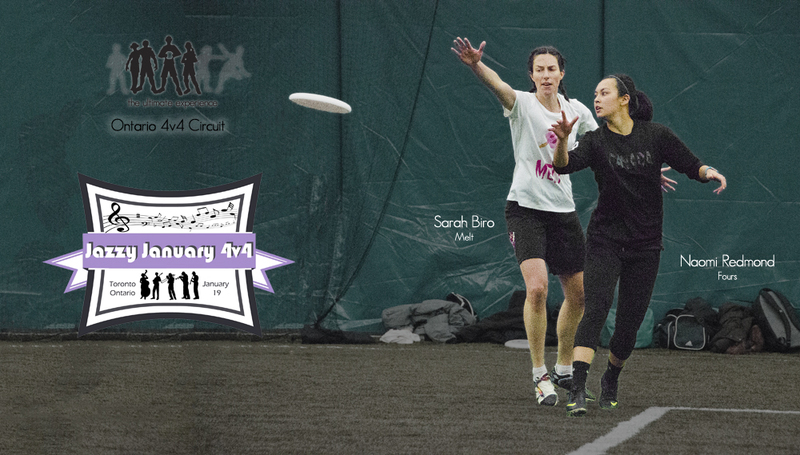 That day for Fours included a one-point loss to Melt, who after an extremely strong showing in December, found themselves unable to challenge the top teams and break away again from the middle of the pack. SGS was missing their normal sideline coach, Nick Edwards, and maybe that was the difference as they didn’t show the sort of results they often do at these events. Highlights for them was an impressively close game against A-Z and showing strong Spirit of the Game throughout the day to be named Spirit Champions. Fluid, one of the more consistent teams on the Circuit, maintained vigil on the north-most field and had an up and down day against some tough opponents. Their ability to keep most games close paid off in their final placement. At the other end of the dome, MONSTERS put some of the new juniors they’ve added to their roster into action. They would come up winless, but with a close loss to I’ll Figure That Out Later. Figuring it out is what Hazardiscs appears to be doing. While they had mixed results on the day, their overall competition level would rise and be reflected in the Ontario Circuit standings. So, how did that first game of the day play out? In the 5-minute rematch, A-Z would come out victorious with a 3-2 score over Tetraphobia, which was added to the previously disputed tie for a final score of 17-16. Unfortunately for A-Z, The Elusive Unioncorn would foil their plans for victory with a three point win over them… but a loss to Tetraphobia. Tetraphobia would take top honours at this tournament, and close the gap in the Ontario rankings slightly. 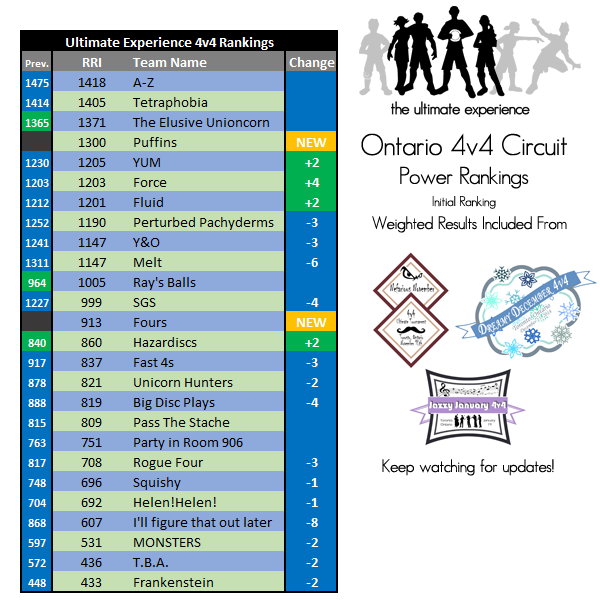 By playing kingmaker, The Elusive Unioncorn would also catch up to the leaders but A-Z did enough to maintain their lead in the overall standings across the Circuit. 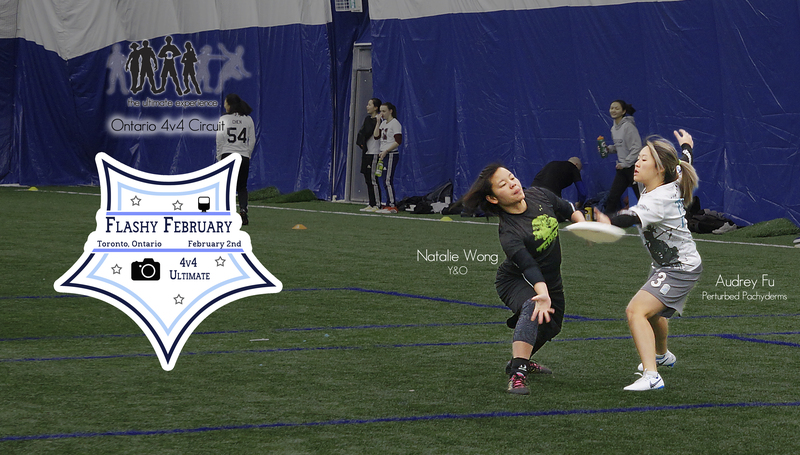 Next up in Ontario 4v4 Circuit events both take place on Feb 2nd, when we’ll see action both here in Toronto for Flashy February, and in Guelph with the Guelph 4-Grain. Guelph is sold out, but a few spots remain for Flashy February. We look forward to seeing everyone next month! 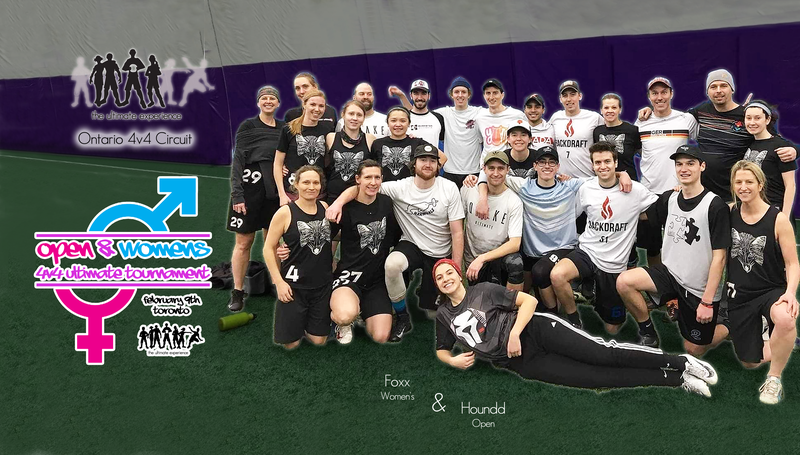 Hamilton-based “Fear of Fours”, Tetraphobia, has been a regular 4v4 team, consistently at Canadian 4v4 Ultimate Championships and our 4v4 events over the years. 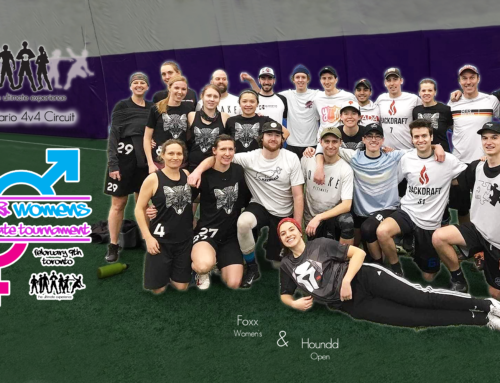 They always bring a fighting spirit and typically achieve top-tier results, they are an excellent team that pushes the 4v4 level in the province. 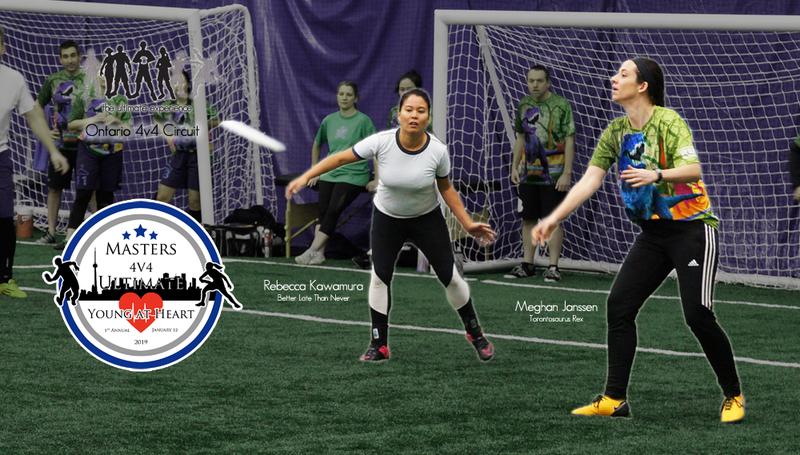 They have been to all 3 events of the 2019 Ontario 4v4 Circuit so far, and we look forward to welcoming them back to several more in the future! 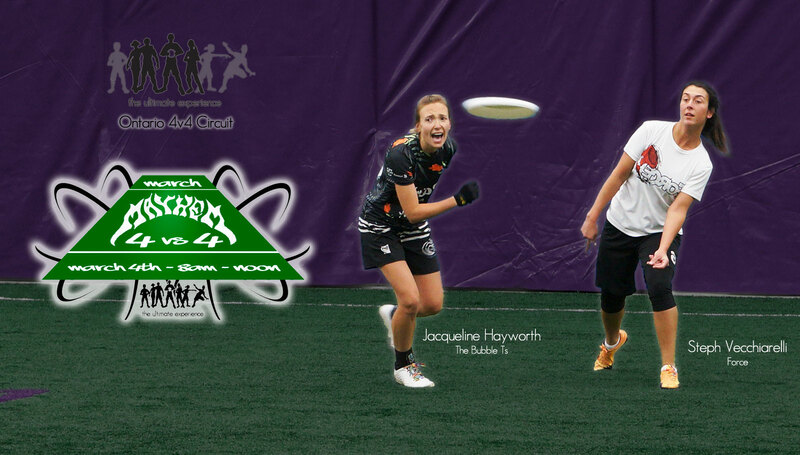 Register Now for Flashy February!